Pentagon negotiators have in recent months become more unpredictable and willing to ignore precedent, Lockheed Martin’s CFO said last week. The seemingly new approach has slowed down talks on the latest batch of F-35 fighter jets and even on other weapons and gear that the U.S. Defense Department has been buying for decades, Bruce Tanner said. For example, he said, the government now wants companies to eat various costs they once would have been reimbursed for. The former president, chief executive officer, and chairman of the board of a New Jersey-based international engineering consulting company was sentenced today to 12 months of home confinement and fined $4.5 million for conspiring to defraud the U.S. Agency for International Development (USAID) with respect to billions of dollars in contracts over a nearly 20-year period, U.S. Attorney Paul J. Fishman announced. Derish Wolff, 79, of Bernardsville, New Jersey, previously pleaded guilty before U.S. District Judge Anne E. Thompson to a superseding information charging conspiracy to defraud the government with respect to claims. Judge Thompson imposed the sentence on May 8, 2015 in Trenton federal court. Wolff, the former president and CEO of Morristown, New Jersey-based Louis Berger Group Inc. (LBG), and the former chairman of LBG’s parent company, Berger Group Holdings Inc. (BGH), led a conspiracy to defraud USAID by billing the agency on so-called “cost-reimbursable” contracts – including hundreds of millions of dollars of contracts for reconstructive work in Iraq and Afghanistan – for LBG’s overhead and other indirect costs at falsely inflated rates. 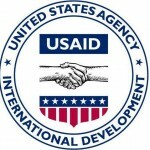 USAID, an independent federal government agency that advances U.S. foreign policy by supporting economic growth, agriculture, trade, global health, democracy, and humanitarian assistance in developing countries, including countries destabilized by violent conflict, awarded LBG hundreds of millions of dollars in reconstruction contracts in Iraq and Afghanistan as well as in other nations. LBG calculated certain overhead rates and charged USAID and other federal agencies these rates on cost-reimbursable contracts, which enabled LBG to pass on their overhead costs to the agency in general proportion to how much labor LBG devoted to the government contracts. 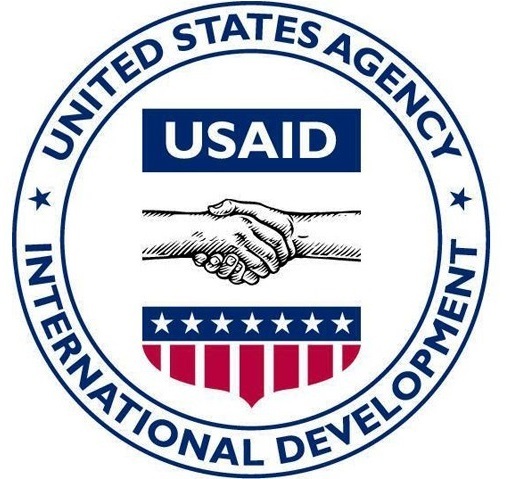 From at least 1990 through July 2009, LBG, through Wolff and other former executives, intentionally overbilled USAID in connection with these cost-reimbursable contracts. The scheme to defraud the government was carried out by numerous LBG employees at the direction of Wolff. 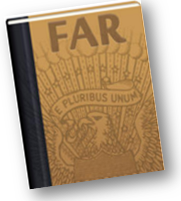 Wolff targeted a particular overhead rate, irrespective of what the actual rate was, and ordered his subordinates to achieve that target rate through a variety of fraudulent means. From at least as early as 1990 through 2000, Wolff ordered LBG’s assistant controller to instruct the accounting department to pad its time sheets with hours ostensibly devoted to federal government projects when it had not actually worked on such projects. At an LBG annual meeting in September 2001, Salvatore Pepe, who was then the controller and eventually became chief financial officer (CFO), presented a USAID overhead rate that was significantly below Wolff’s target. In response, Wolff denounced Pepe, called him an “assassin” of the overhead rate and ordered him to target a rate above 140 percent, meaning that for every dollar of labor devoted to a USAID contract, LBG would receive an additional $1.40 in overhead expenses supposedly incurred by LBG. In response, Pepe and former controller Precy Pellettieri, with Wolff’s supervision, hatched a fraudulent scheme from 2003 through 2007 to systematically reclassify the work hours of LBG’s corporate employees, including high-ranking executives and employees in the general accounting division, to make it appear as if those employees worked on federal projects when they did not. At his plea hearing on Dec. 12, 2014, Wolff admitted that Pepe and Pellettieri, at Wolff’s direction, reclassified these hours without the employees’ knowledge and without investigating whether the employees had correctly accounted for their time, and at times did so over an employee’s objection. In addition to padding employees’ work hours with fake hours supposedly devoted to USAID work, Wolff instructed his subordinates to charge all commonly shared overhead expenses, such as rent, at LBG’s Washington, D.C., office to an account created to capture USAID-related expenses, even though the D.C. office supported many projects unrelated to USAID or other federal government agencies. An administrative agreement between LBG and USAID, which was the primary victim of the fraudulent scheme. In the settlement, the government took into consideration LBG’s cooperation with the investigation and the fact that those responsible for the wrongdoing were no longer associated with the company. U.S. Attorney Fishman credited special agents of USAID-Office of Inspector General, under the direction of Special Agent in Charge Daniel Altman; the FBI, under the direction of Special Agent in Richard M. Frankel; the U.S. Department of Defense, Defense Criminal Investigative Service, under the direction of Special Agent in Charge Craig W. Rupert; and the former Office of the Special Inspector General for Iraq Reconstruction, under the direction of former Special Inspector General Stuart W. Bowen Jr., for the investigation leading to today’s sentencing. He also thanked the U.S. Attorney’s Office, District of Maryland, and the U.S. Department of Justice Civil Division for their roles in the case. The General Services Administration (GSA) is considering adding cost-reimbursable options to its supply schedules, according to a top agency official. He added that GSA’s planned OASIS contract vehicle for professional services will offer a cost-reimbursable option available to agencies, and GSA plans to award the contract soon. Contracts on the GSA federal supply schedules currently use time-and-materials and fixed-price pricing terms. Raytheon Co., the world’s largest missile maker, won the U.S. Defense Department’s biggest contract last month, a potential $1.6 billion deal to build advanced radar for new naval destroyers. The Waltham, Mass.-based company received a Navy contract to develop the air and missile defense radar for Arleigh Burke-class destroyers beginning in 2016, according to the Oct. 10 announcement. Raytheon beat out Bethesda, Md.-based Lockheed Martin Corp. and Falls Church, Va.-based Northrop Grumman Corp. for the work, most of which will be performed at the company’s Sudbury, Mass., site. 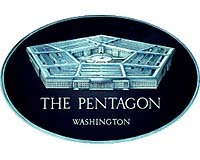 The award topped a list of more than 180 contracts announced in October, with a combined value of more than $17 billion, according to a Military​.com analysis of the Pentagon’s daily contract announcements. That figure doesn’t reflect what is actually spent, or obligated, because many deals are only partially funded at first. The total is less than a third of the value of agreements announced in September, which is typically the busiest time of year for federal contracting as employees rush to ink deals before the Sept. 30 end of the fiscal year. The trend was likely exacerbated this year by the federal government shutdown. Talk of a federal government shutdown can subside until March 4 now that Congress has passed another temporary spending bill funding federal agencies through that date. The bill increases federal spending $1.16 billion above fiscal 2010 levels but most federal agencies will see little change. Fiscal 2010 ended Sept. 30; federal fiscal years start Oct. 1. The temporary spending measure had bipartisan support in the Senate, which voted 79 to 16 for it, but less so in the House, which broke mainly along party lines to approve it 193 to 165. The bill means fiscal 2011 will be dominated by uncertainty for federal agencies, which find it difficult to make big commitments when funding is tentative. Some agencies use cost reimbursement contracts as a means of dealing with the uncertainty, since unlike fixed price contracts, cost contracts allow agencies to incrementally add funding. The March 4 deadline also means that Congress likely will be dealing with two fiscal years simultaneously–the fiscal 2012 request submitted by the president on the first Monday of every February, and the remainder of fiscal 2011. Republicans have indicated they want to cut spending further and in particular target funding meant for implementing healthcare reform under the Affordable Care Act.